i think violet is purple. Violet is a spectral color (approximately 380–420 nm), of a shorter wavelength than blue, while purple is a combination of red and blue or violet light. The purples are colors that are not spectral colors – purples are extra-spectral colors. In fact, purple was not present on Newton's color wheel (which went directly from violet to red), though it is on modern ones, between red and violet. There is no such thing as the "wavelength of purple light"; it only exists as a combination. Pure violet cannot be reproduced by a Red-Green-Blue (RGB) color system, but it can be approximated by mixing blue and red. 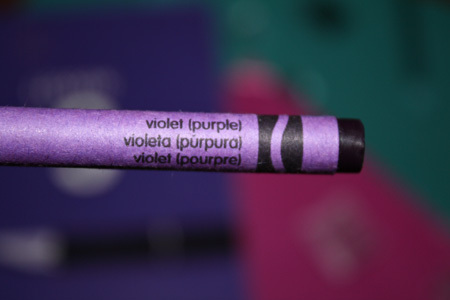 The resulting color has the same hue but a lower saturation than pure violet. One interesting psychophysical feature of the two colors that can be used to separate them is their appearance with increase of light intensity.  Violet, as light intensity increases, appears to take on a far more blue hue as a result of what is known as the Bezold-Brücke shift. The same increase in blueness is not noted in purples. It's obviously not gonna help you, but the basic point is that Violet is not purple, or in the purple family, I believe. Edited the post. Hope it helps more. Because the two words are commonly confused? I guess a simplified version of what Aphrodite said would be that purple is just a mix of blue/violet and red wavelengths, thus purple and violet are technically not the same. Hope that helps! They're practically the same, BUT they are different when it comes to technicality. Purple is just a group of colors with a violet to red hue. So pretty much purple includes violet and other purpleish+redish colors while violet is more of a technical term for the visible spectrum. violet=part of the purple family, technical term for short-wave end of visible spectrum. When you count from your right hand 2 jumps you will reach the Violet color when you jump 3 jumps you will reach purple color.That's the difference for these two colors. fact, my art teacher said so. Even when i tried to make some purple she said, "no no no, thats violet! purple is lighter." you answered my question best.